Hi - I've just joined Crewbay. 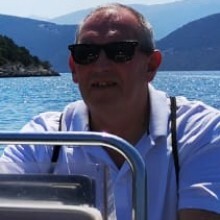 I'm interested in finding a position as a chef but would also like to partispate in sailing the boat ,if i had some spare time .I'm looking forward to meeting some new people and visiting some new places discovering some new ingredients.I have over 20 years experience in kitchens and I work well within a team aswell as an individual and have high standard and goals. I am about to complete my stcw at the end of january 2019. I hope this will be an adition to my skill set and I will be sailing very soon.